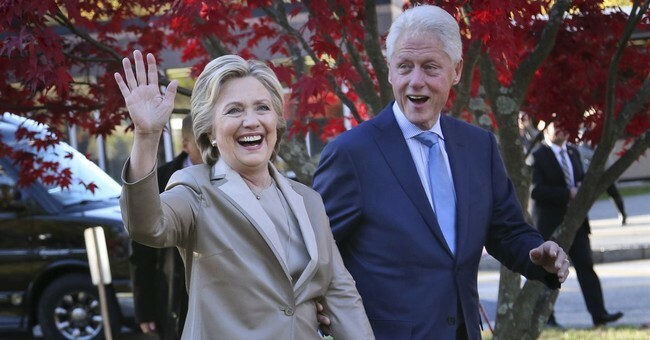 Twice-failed presidential candidate and former first lady Hillary Clinton told CNN’s Christine Amanpour Tuesday that “civility can start again” when Democrats take back control of the House and Senate. Until then, she argued, all bets are off when dealing with Republicans. "You cannot be civil with a political party that wants to destroy what you stand for, what you care about," she claimed. "That's why I believe, if we are fortunate enough to win back the House and or the Senate, that's when civility can start again. But until then, the only thing that the Republicans seem to recognize and respect is strength." "I remember what they did to me for 25 years -- the falsehoods, the lies, which unfortunately people believe because the Republicans have put a lot of time, money, and effort in promoting them," she said. "So when you're dealing with an ideological party that is driven by the lust for power, that is funded by corporate interests who want a government that does its bidding, it's -- you can be civil, but you can't overcome what they intend to do unless you win elections." Clinton made similar comments about civility in an interview with The Guardian in June when she was asked about the Trump administration’s policy of separating immigrant children from their parents at the border. President Trump later ended the policy in an executive order. “Oh, give me a break,” she responded regarding a question about if the left was becoming “uncivil” in their rebukes of the policy. “And if some of that comes across as a little uncivil, well, children’s lives are at stake; their futures are at stake,” she concluded. During the controversy over the child separation policy, leftist protestors disrupted Department of Homeland Security Secretary Kirstjen Nielsen’s dinner over the policy at the time and White House Press Secretary Sarah Huckabee Sanders was asked to leave a restaurant in Lexington, Virginia because she worked for Trump. Clinton’s remarks may add fuel to the increasingly extreme tactics being adopted by leftist protesters, most recently in the confirmation battle over Supreme Court Justice Brett Kavanaugh. Sen. Ted Cruz (R-TX) was recently chased out of a restaurant by protestors over his support of Kavanaugh. Sen. Susan Collins (R-ME), a key vote who went to great lengths to explain the rationale behind her support of Kavanaugh, faced ugly threats over her decision, including some who are calling for her to be publicly harassed for the rest of her life over her vote. Sen. Mazie Hirono (D-HI) defended leftist tactics of harassment and intimidation in regards to the Kavanaugh fight on CNN Sunday. She blamed white supremacists, saying that "this is what happens."